A tradition that started in Cuba in 1927, only the finest, highest quality tobacco was chosen to represent the Oliveros name. The tradition paid off, as Oliveros Cigars are now known around the world for their flavored cigars. 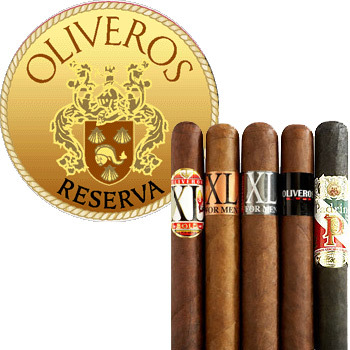 Their best selling line, the Oliveros XL for MEN, is a full bodied smoke. It features a Connecticut Broad-leaf Maduro Binder and a Brazilian Wrapper. See why Oliveros are the best flavored cigars online and try any from our vast selection.